On Wednesday the 14th of March, Anthony Vigneron, IT Leader - Platform Services at Clifford Chance LLP, will present “The path to mature Global Mobile Services Management”. 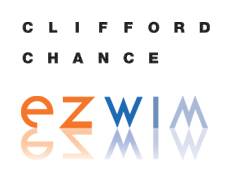 Clifford Chance has first deployed a global TEM strategy in 2008. In his presentation, Anthony Vigneron will share his initial objectives and achieved results after managing the program for 4 years. He will share his vision of realizing professional wireless mobility management within a global organization. Move from an ad-hoc activity with limited understanding of telecom usage and costs towards a professional and predictable telecom service management process with a clear focus on the end user while involving practice, country and global management. Anthony will present at the Telecom Expense Management conference in Amsterdam at the Amsterdam Arena on Wednesday the 14th of March. The session will be from 15:20 to 15:50 CET. You can register for free to attend the conference in person via http://tinyurl.com/7yjoqmf. If you do not have the possibility to attend the conference you can also follow this session live online. You can register here: http://tinyurl.com/6lh9oxl for the webinar to see the session on your own computer.